K's House Hiroshima opened in Sep 2008. We are the 5th hostel of K's House chain. Only 8mins walk from JR Hiroshima station and 2 mins walk from Matoba-cho tram stop. The buliding has been fully renovated into a hostel from a small business hotel. We offer you variety of guest rooms along with a fully equipped kitchen for our guests , internet access, coin laundry (washing machine and dryer), individual common showers with hot water 24 hours a day,cozy common lounge and all the rooms have air-conditioning for free. Our staff speak English and will help you with any travel info. 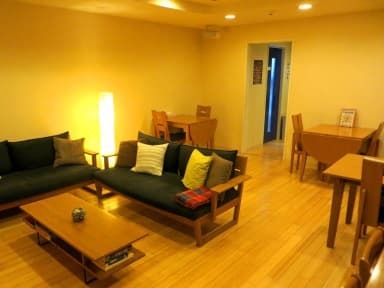 Only 8 min walk from JR Hiroshima station and 2 min walk from Matoba-cho tram stop. Please read a following information below before you make a reservation. 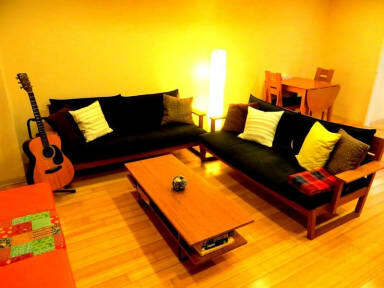 3 or 4persons private room is a Japanese style tatami room with shared bath room. K's House Kyoto was voted the Best Hostel in Asia for 2004 by Hostelworld.com customers.